Immaculée Ilibagiza shares and invites you to pray with her the Rosary of the Seven Sorrows given by Our Lady in Kibeho. 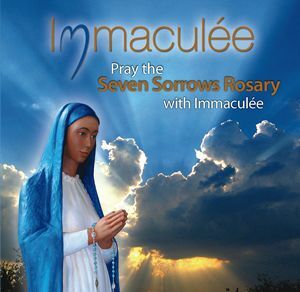 Included are the meditations and prayers given by the Our Blessed Mother on each sorrow. Our Lady stated, "If you say the Rosary of the Seven Sorrows and meditate on it well, you will find the strength you need to repent of your sins and convert your heart. Pray my Seven Sorrows to find repentance."